Life is stressful, and while vacations are a good way to shake up your routine and have fun, sometimes, a different kind of break is in order. If you’ve been feeling fatigued, out of sorts, or like you just need to break out of a funk, you should plan a vacation focused on revitalization. This type of break is popular in Scottsdale, AZ. Here are a few tips for revitalizing your mind and body. You don’t have to be a dedicated yogi to participate in a yoga retreat. The practice of yoga has a way of revitalizing the mind and body whether you realize it to or not. At a retreat, you’ll have the chance to sink into your practice and focus on the mind and the body. The yoga practices at retreats are usually longer than what you’ll enjoy during a regular class at a studio. This means that the instructor is likely to work more deeply into poses and offer more instruction. You may find yourself doing things that you didn’t think possible. Most retreat organizers plan the accommodations, food and practice schedule. So, all you have to do is show up and start hitting your sun salutations. Revitalize your mind and body by staying at a spa-oriented hotel like the Hyatt Regency Scottsdale Resort & Spa at Gainey Ranch. Along with elegant rooms and access to resort activities like gondola rides and rock climbing, you’ll also have the Spa Avania on site. Offering everything from facial treatments to massages and mineral water therapy, a hotel spa in Scottsdale will help you unwind from everyday life stresses. Visit their website to learn more about how this great resort can take care of you. The Scott is another local spa hotel. Here, you can enjoy traditional spa services, swim in the pool and enjoy dining at The Canal Club, which serves classic menu items that feature a Cuban twist. A meditation getaway is a different kind of retreat. Scottsdale hosts several of these throughout the year. 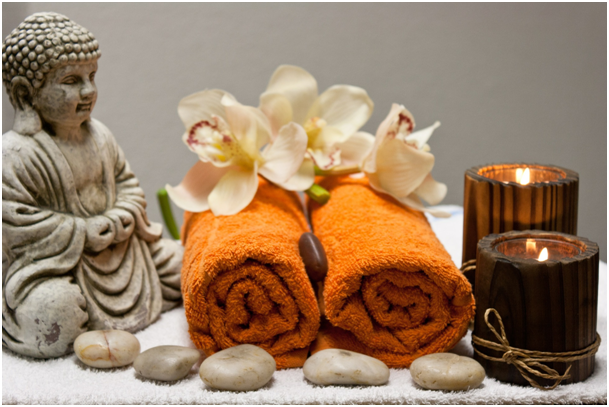 If you book one, you can expect a luxurious and pampering experience while you immerse yourself in meditation and mindfulness. When you home in on these practices and spend several days on them, you will likely find a deeper state of relaxation, one that you may have never before experienced. You’ll also develop tools for living more mindfully and peacefully in your everyday life. A transformative meditation retreat is an ultimate gift to yourself since you will bring the benefits of it home with you for life. Scottsdale is a great place to go hiking especially if you do it during the fall, winter or spring. Studies show the positive impact that nature has on the mind. When you’re moving your body on a hike, you’re revitalizing it too. Unless absolutely necessary, turn the smartphone off during your hikes and give yourself a mental break. Bring a lunch and a camera. While hiking, notice your surroundings. Appreciate the nature around you and let yourself relax. Consider trails like the Gateway Loop, Pinnacle Peak and Go John Trail. Taking care of your mind and body pays off in spades. Along with being stronger and more able to handle daily stress, a strong mind and body will help you get through the big stuff. While it’s important to care for the people who count on you, taking care of yourself is important too. Don’t push your needs to the wayside. Book a retreat for the mind and the body.